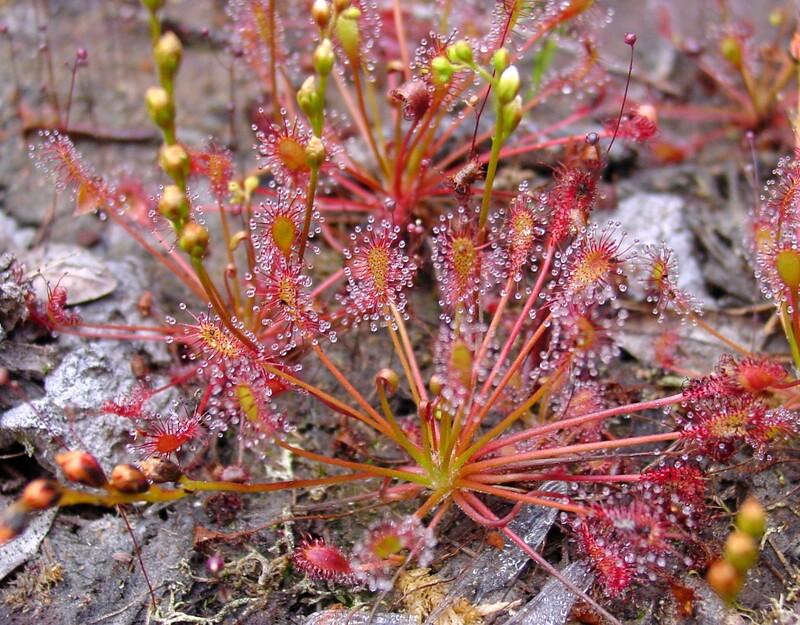 Drosera intermedia is a carnivorous, perennial herb to 80 cm tall. Leaves in a basal rosette and along base of stem, leaf stalks to 5 cm long, blades to 2 cm long, 0.5 cm wide, spatula-shaped, upper side covered with long sticky, glandular hairs, adapted to attract and trap insects that are digested by enzymes to supply the plant with nitrogen in nutrient-poor, acid bog habitats. 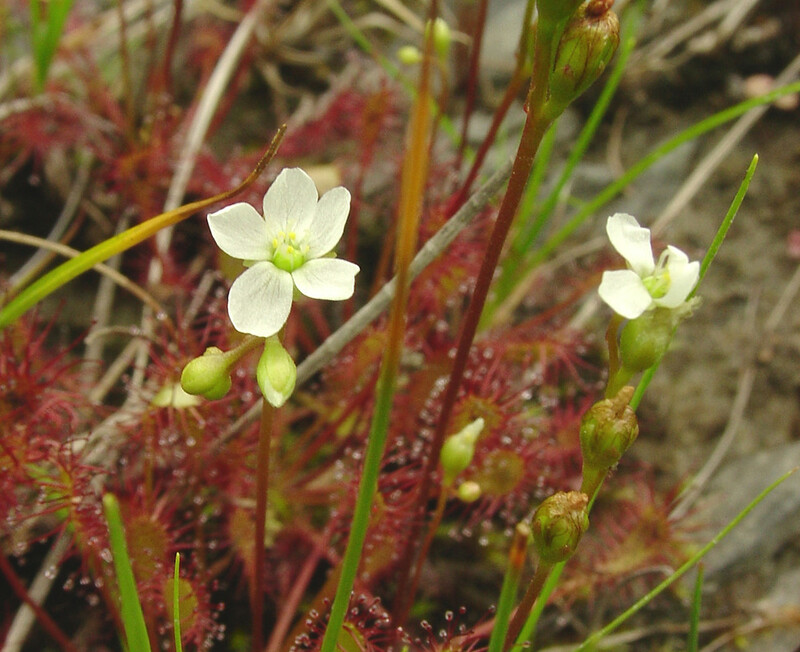 Drosera intermedia in bloom. By Glen Mittelhauser. Copyright © 2018 Glen Mittelhauser. New England Wild Flower Society. gobotany.newenglandwild.org (Accessed 4/2018). Flowers white, radially symmetrical, 5-parted, to ca 1.5 cm wide, along a thin stalk to 25 cm tall; blooms July-Aug.
Fruit dry, a capsule with reddish-brown seeds. Habitat: Open wet, acid, sandy soil. A pine barrens plant.